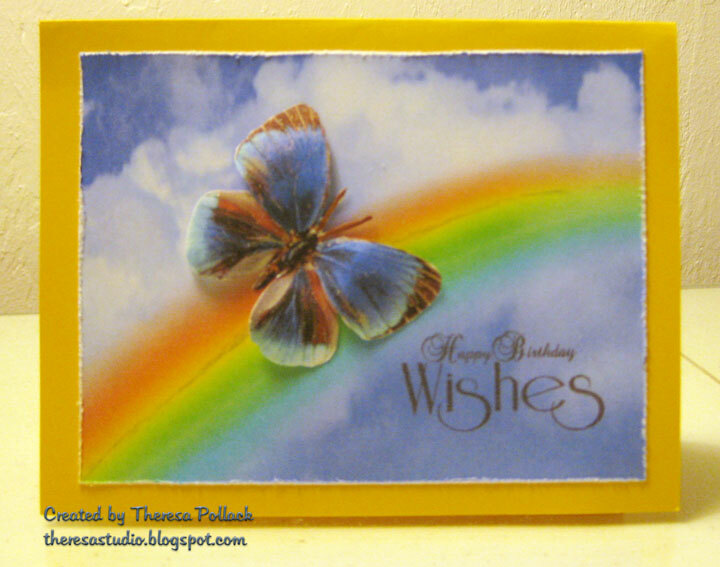 This was a fun card to make using The Print Shop and Photoshop. I found this backdrop of skies, clouds, and rainbow and sized for a card and printed on White CS. The butterfly is PS clipart that I printed and cut,shaped and attached with glue. Added some sparkle with a Sakura glitter pen to butterfly and rainbow. The sentiment is a Mark's Finest Paper stamp from "Happy Pansies" stamped in Memento Rich Cocoa. I distressed the edge of the image and attached to a card base of yellow CS. Flutter By Wednesday's: Open challenge with a butterfly. Little Red Wagon Challenge: Theme is Animals. This is my second post today. 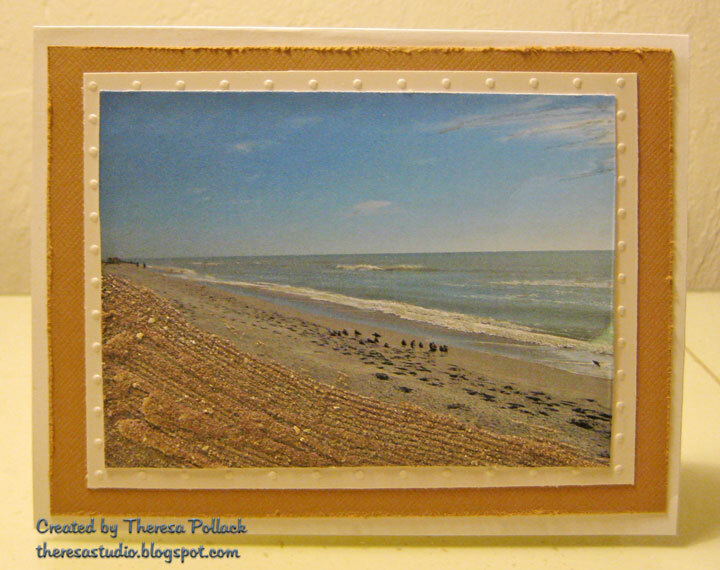 Since I have been spending so much time at the beach, I was inspired to make this card with a photo of a beach scene and also used sand on the card for texture. I printed this photo on card stock. I spread glue and adhered sand from the beach on a section of the picture. The glue applicator actually made ridges which makes the sand look as if it had just been raked. I used a Sakura glitter pen to highlight the clouds and waves which I hope is visible to you. May show if you click on photo to enlarge. Used Cuttlebug EF Swiss Dot to emboss a glossy white mat and layered on a Bazzill Cocoa mat and then attached all to a white base card. Distressed the edges of the mats for even more texture. Photo of card sort of distorted look of card edges. Did not use a sentiment. Will stamp one when I use card. Wee Memories Challenge: Theme is "source of inspiration". My source as you see is nature - a scene at the beach. AllSorts Challenge: Theme is "Inspired by Nature". The beach scene is better than a snow scene which is what it is a home. I took time out from the beach this morning to make this card which will cover a few challenges that end tomorrow. I used a white card base on which I repeatedly stamped a sentiment from Mark's Finest Papers' "Happy Pansies" stamp set as the background. Stamped the pansy from the same set on to a scrap of pink CS and cut with Nesties scallop circle and pierced the edges. This I attached to a precut oval that was embossed. I highlighted the embossing and edge by wiping with a black ink pad (had no sponge). Used dimensionals to attach to the card. Added ribbon and a pink gem to center of flower. Speedy the Cat's Friends Challenge: Use Black and White plus one color and piercing. Piercing around oval. One Stop Craft Challenge: Make a Birthday Card. Crazy 4 Challenge: Use Dies on Card. Our Creative Corner: Get Wordy! 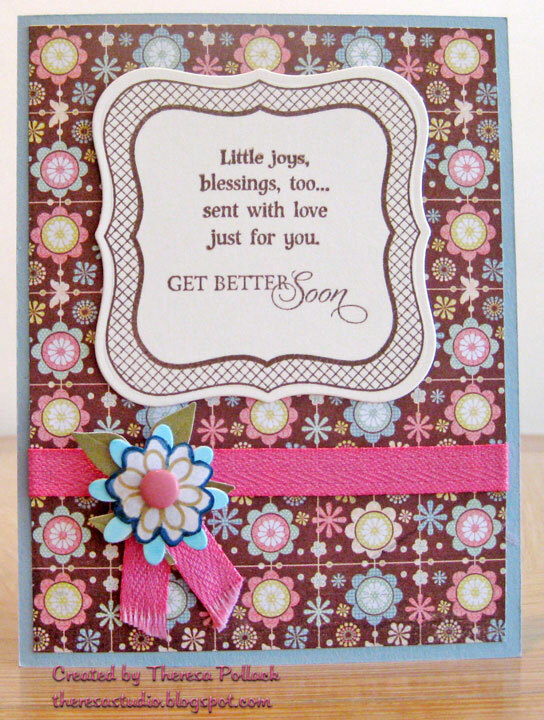 Use a sentiment stamp to create a background or layer on your card by stamping it repeatedly. Lollipop Crafts: Use Black, White,and a pop of color. Charisma Cardz Challenges: Use black,white and one other color. Just heard we had another 10" of snow at home in Ohio. Glad to still be here in Florida. ﻿﻿Hello friends! 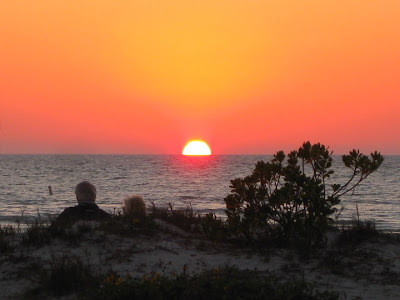 Sorry, I have been missing on this blog for the last week but the weather has been so wonderful here on Captiva that I have not found time to stay inside and make cards or spend time commenting and visiting my blogger friends. Not really that sorry.....having too much fun.......but did miss you. Am trying to soak up as much sun as I can before going back to snowy Ohio. Had an email that we had 8 more inches yesterday!!!! Only 17 days left of our stay. I have found time to keep up with my diary of our trip if you want to see what we have been doing, seeing, eating, etc. May be boring to you but there may be some interesting pictures. http://captivadays.blogspot.com/ That's all for now. Have to head out to the beach and watch for the dolphins to go by. Have a good day! I am so honored that my blogging friend Olga sent me this award. Olga, thank you for thinking of me and thinking that I deserve such a wonderful honor. I first met Olga at Stamp TV and then began following her blog when I began blogging. She is so creative and makes beautiful cards and scrapbooks! And I just love her sense of humor....she is so funny! Her blog is http://craftieodamae.blogspot.com/. -Right-click on the award and save it to your computer to add to your blog. -Choose FIVE (5) worthy recipients and list them. Next to their blog name, give ONE reason why you think their blog is special. What catches your eye about them? What do you love? -On your blog page, list 5 things about yourself. Include at least one thing you enjoy about your craft. 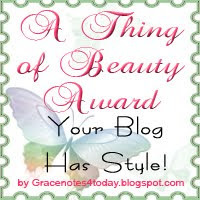 The difficult part of these awards is selecting only 5 to pass on the award when there are so many beautiful and deserving recipients in blogland. I am happy to present this beautiful award to the following FIVE recipients. Betty at http://bbstamps.blogspot.com/ Betty began blogging after I did but she has a great blog where she shares her great cards and projects. I love that she is always finding new blogs, ideas and challenges that she shares with us. She includes chat about her life and her great photos of nature and scenes. Carla at http://carlasstampingspot.blogspot.com/ Carla has only recently started her blog but has quickly become a great blogger....took me a lot longer to figure this "blogging" out. 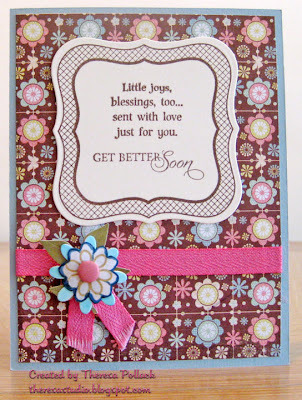 Her stamping spot is a joy to visit, not only a lovely blog but her cards and creative use of coloring and DP is amazing. 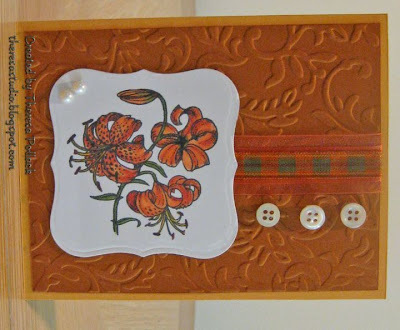 Linda at http://paynehollercards.blogspot.com/ This is one busy, busy lady. 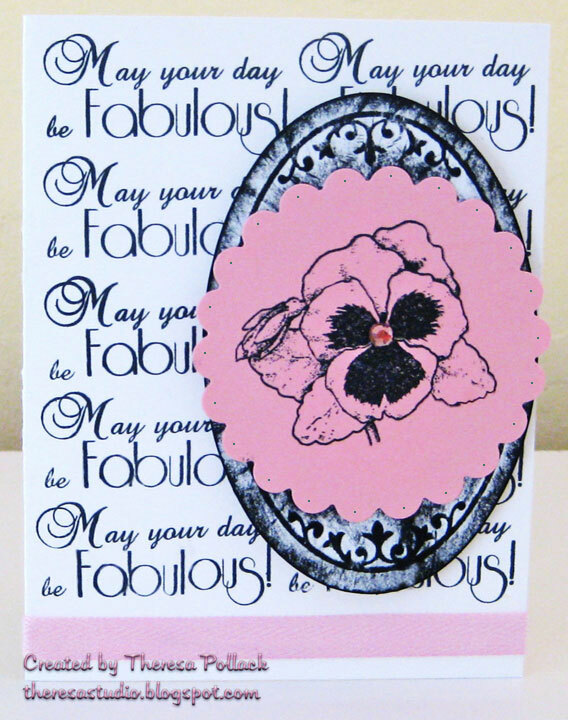 And her cards are such works of art....her beautiful coloring and designs are always the stars of her blog. Her work is such an inspiration to me. Patti at http://stampersize.blogspot.com/ Another busy lady. Patti is responsible for my blog....she encouraged me to begin one in the first place. She is always the first with her often humorous comments of support. Her great blog is so fun to visit. Always an inspiration to me with her beautiful cards and keeps me smiling. Always a must visit each day. Sue at http://a-consuming-passion.blogspot.com/ Sue lives in Sydney, Australia but I feel like she is my neighbor. Her beautiful blog is so inviting to visit and she features the most creative projects. I know she is not fond of blog awards but she really deserves this one. 1. 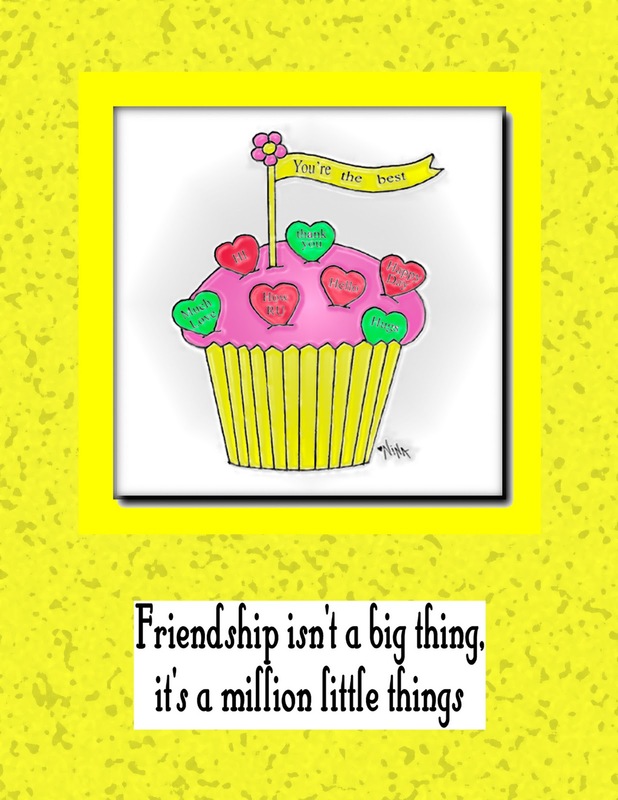 Love making so many friends through my card making and blogging. 2. We collect Teddy Bears and they each have a name and a history. The first four we collected are Teddy, Beddy, Eddy, and Lottie Lynia. We have four with us in Florida: Bellini, Matilda, MacIntosh, and Beddy (Daddy's Favorite). 3. Have a limited amount of stamping items with me in Florida to make cards for the 6 weeks that we are here. 4. Love all my blogging friends and love to hear from them. 5. Not missing the cold weather in Florida, but you already knew that, didn't you? Thanks again to Olga for this beautiful award! Hope everyone is spending the day with someone they love! I used Basic Grey DP Hopscotch, GKD Lovely Labels and Fanciful Tags for frame and sentiments, ribbon and brad for embellishments, and used layers of a punch flower colored with Copics and a flower cut from DP for dimension and branch of green CS. 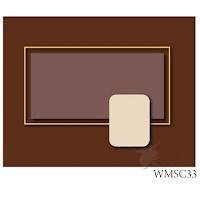 Other supplies: Blue CS for Base, GKD Ivory CS for sentiment, Spellbinders Die, Sizzix Branch Die. Allsorts Challenge: It's all about the sentiment. Craft YourPassion: Use Pink. Used pink ribbon and DP with pink. Added note-Edited this photo by turning to be horizontal. OOPS!! I actually photographed this card the wrong way. The top view shows it as the horizontal design as I intended it to be, but for some reason I turned it to be vertical when I made the picture as in the lower (firstshown) photo. Surprised that someone had not commented that the daylilies were sideways in the original post. Guess I got confused because I used a sketch that was vertical. 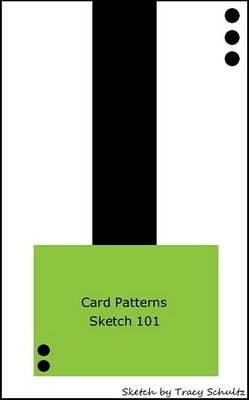 I liked this sketch #101 from Card Patterns so much that I used it again for this card. The image was one I had prestamped and colored. 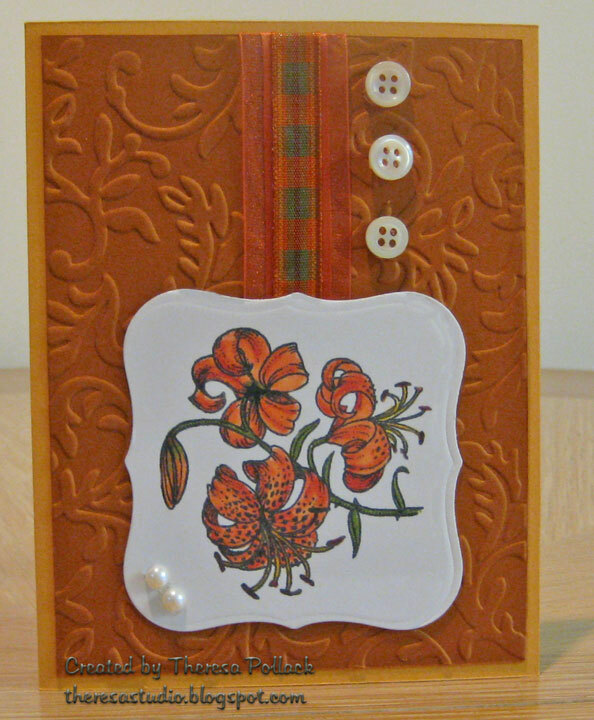 Stamp of day lilies is from Flourishes "Year of Flowers" that I stamped with Memento ink, colored with copics, and cut with Spellbinders Die. This is very similar to another card that I just posted. Used orange CS for the base and another orange for the mat that I embossed with Cuttlebug EF Victoria. Added 2 ribbons from stash layered together and bling of buttons and pearls. Timeless Tuesday Challenge: Use buttons. Card Patterns Sketch 101 shown below Alphabet Challenge: O is for Orange. 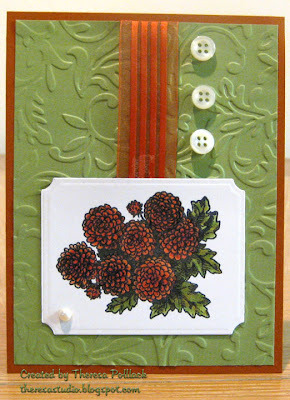 This card was made for the challenge at Timeless Tuesday at Flourishes: to use buttons on our cards. I used a sketch from Card Patterns #101 to compose my card. The image was one I had premade and colored. Stamp is from Flourishes "Year of Flowers" that I stamped with Memento ink, colored with copics, and cut with Spellbinders Die. 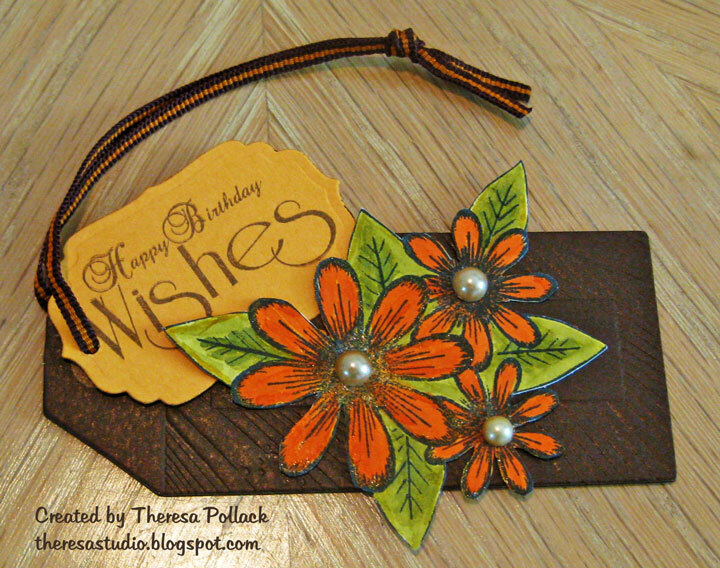 Used orange/rust CS as card base and matted with green CS embossed with Cuttlebug EF Victoria. Added ribbon and buttons and a pearl for bling. Allitems were from stash and do not know sources. My thoughts seem to be turning to spring. I chose this digital image, Wild Flower Bouquet, from Paper Cupcakes to use on my card. Printed image and colored with Copics. Also added some glitter but does not show in photo. Matted image on blue. Base card of white is matted with blue CS and a printed paper cut with a die. Added some punched flowers colored with copics with crystal centers, pink ribbon and blue crystal heart. Sentiment says Happy Spring. Arranged all the elements following a sketch fromWags 'n Whiskers challenge. There's Magic in the Air: Recipe challenge-- 3 Flowers (minimum), lace or ribbon, pearls or gems and 1 die cut. 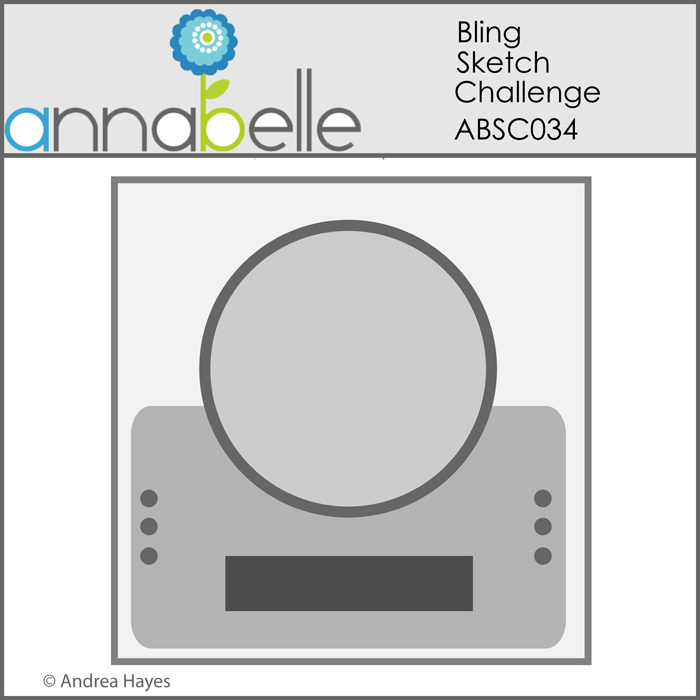 Wags 'n Whiskers: Sketch challenge shown below. Kaboodle Doodles:Break out the ribbon stash. Digi Doodle Shop Best: Theme is Nature. Sentiment-Mark's Finest Papers "Happy Pansies"
I don't make many tags but my DH bought a shirt that had the best hang tag on the button of the shirt and of course I took it to recycle. It was what I used to make the tag pictured. The brown tag is as thick as chip board or grunge board and is beautifully embossed ( hope you can see it) and had a great ribbon that I left attached. I had this flower leftover from another project that I had already stamped, colored with Copics ,and cut out. It was the perfect size to cover the printed name of the manufactureron the tag. Added some glitter (which does not show) with Atyou Spica Gold pen. 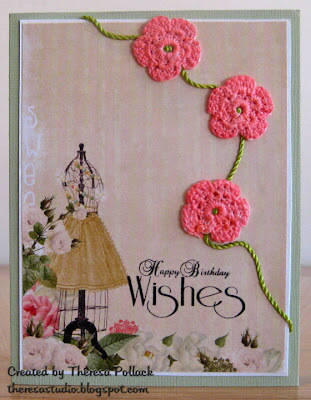 Stamped birthday sentiment and cut out with a die and threaded the ribbon through that. Finished with some Latte Pearls. Joan's Garden Tag Challenge: Anything goes. Simon Says Challenge: Anything but a card. This was an easy tag since the shirt's tag was the perfect size and shape and already embossed. I will have to check all my husband's clothing purchases fromnow on for items to recycle. Good morning! Back with anotherValentine / Love card. So many challenges at this time for the same theme. I did some embossing, used a die, hearts,digital sentiment. 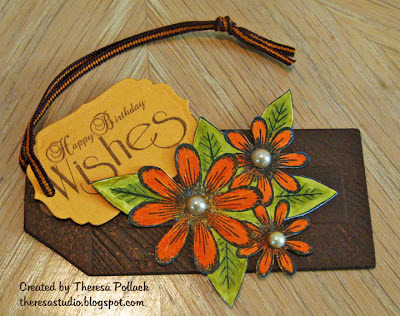 patterned paper, ribbon, some bling and a sketch to come up with this card. 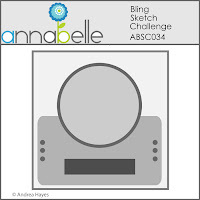 Annabelle Sketch: Challenge 034 shown lower right. Basic Grey Challenge: All about Heart...used Hopscotch paper. Stamp, Scrap, and Doodle Saturdays: Use dots and stripes. Dots in pattern on paper and embossing. Stripes on hearts and designs in pattern. Allsorts Challenge: Theme is Love, Love, Love. Digital Tuesday Challenge: Theme is from the heart-Valentine. Sentiment is digital. Papertake Weekly Challenge: Have a heart. Fab 'n Funky: Challenge is Tempting Texture. Have embossing, ribbbon, and gems for texture. For Fun Challenge: Show hearts. Hearts in paper and bling. 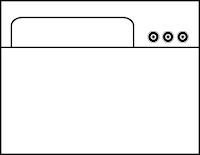 Pixie Cotttage: Use ribbon or sketch. Card has ribbon. A Spoonfull of Sugar: Show some love. Papers: Blue and White CS from stash, Patterned Papers from Basic Grey "Hopscotch"
Wishing you a day filled with love and a lot of heart! I missed Joan's Garden Challenge last week but wanted to enter a card this week. I am very pleased with this birthday card. Had some collaboration with my friend and neighbor, Rita, who crocheted these flowers on my card and I colored them with copics to match the card. These challenges called for self made or handmade flowers. These flowers are handmade but just not by my hands or myself. Is that bending the rules a bit? You know, I do not want to take credit for something I did not do but they were perfect for my card. Joan's Garden: 1. Use Coral/pink and Green for your colors 2. A Birthday Sentiment 3. Vintage Paper 4. Handmade or Punch flower. Stamp: Mark's Finest Papers-Sentiment from "Happy Pansies" stamp set-love this stamp. Papers: Bazzill Freen textured CS, GKd White CS, Webster Pages "Santa and Sweet Season" that I won from Joan's Gardens- love this paper..have to have more. Thanks, Joan. Flowers:Crocheted by Rita and colored with Copics R81.Thank you,Rita. Twine: From a tag on a jacket purchased by DH in Sanibel-most expensive embellishment that I have ever used. LOL. Sending a prayer for Joan's mother who is very ill and hoping that she finds some comfort from the love around her. Second post for today. I want to get this in for the challenge at Flourishes which closes today. Used Flourishes rose stamp from Year of Flowers 2 which I stamped with Memento Tuxedo Black on GKD white CS and colored with Copics. Cut with Nesties circle and matted on another circle of Bazzill pink CS. Used Bazzill green CS for cardbase and matted with Bazzill pink CS and patterned paper of hearts that I downloaded from Flower Soft. Adjusted the pink color and printed the patterned paper. Used a digital sentiment from Raindrop Echo Designs that I colored on computer before printing and then cut with circle die. Attached image and sentiment to finish. Kept this simple with no embellishments. Timeless Tuesday FTTC103: Make Valentine card. 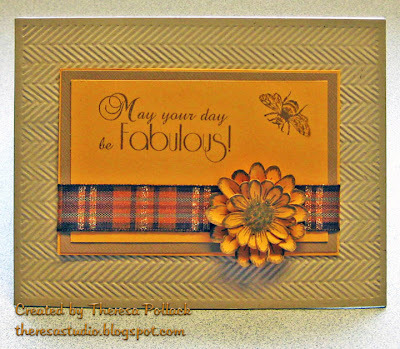 Charisma Cardz Challenge: Make card with no embellishments. CRAFT Challenge: Theme is In A Roll of a Die. Used circle dies in 3 sizes. Let's Ink It Up: Challenge is Romance/Valentine. 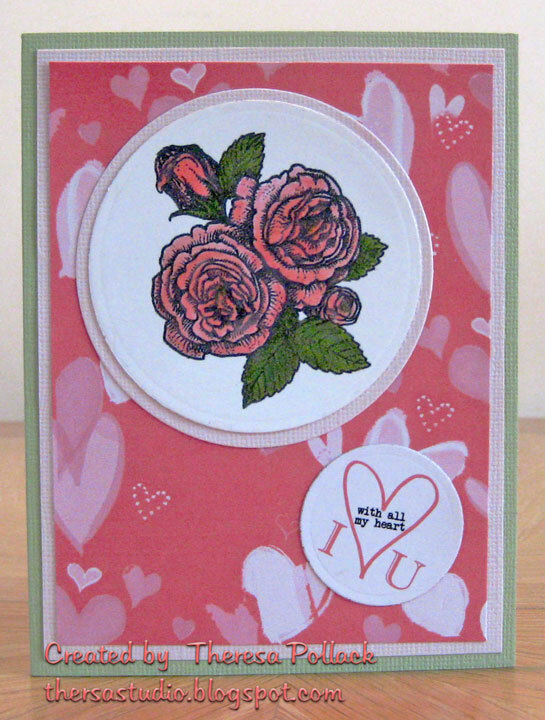 I used Flourishes clear stamp for the rose image. Sentimental Sundays: Challenge is Valentine's Day with a Sentiment. Used Raindrop Echo Sentiment. Stamptacular Sundays: Challenge is Hearts Gone Wild. I used Flourishes clear stamp for the rose image. Good Monday Morning! Hope everyone enjoyed the Super Bowl if you are a football or advertising fan. Am sure all the Packers fans are happy!!! My card today was made for Speedy the Cat's Friends challenge. Sorry the color is a bit off. 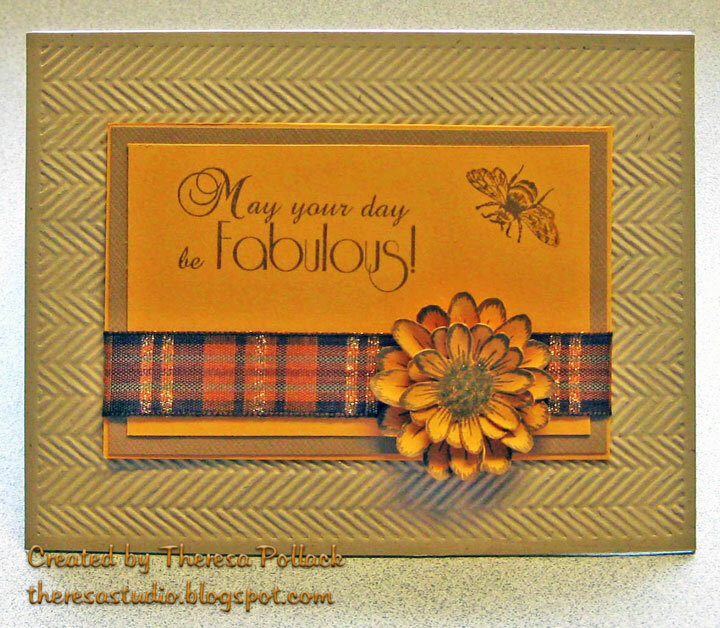 The card base is kraft (embossed with Cuttlebug EF Herringbone) with layers of SU marigold (? ), Bazzill cocoa, and another SU marigold. Made the flower using Heartfelt Creations Posy Patch stamps with Memento Rich Cocoa ink. Cut and shaped the 4 layers of the flower and used Atyou Spica Gold pen in center (BIRL). Sentiment and Bee stamps are Mark's Finest Papers set "Happy Pansies". Finished with a scrap of ribbon from Jo-ann's. Used sketch from Waltzingmouse Challenge. Love their sketches but do not use often enough. Speedy the Cat's Friends Challenge: Use self-made flower. Little Red Wagon: Use kraft. Crafty Catz Challenge: Use tartan or plaid. 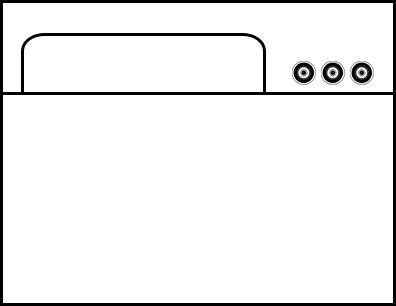 Used palid ribbon. Today is cloudy and cool in Captiva, so I decided to make this clean and simple Valentine card. I used 2 digitals from Create with TLC coloring them in red on the computer. Cut the word art with Nesties Label 4 and cut the heart by hand. Used Cuttlebug EF Divine swirls to emboss the white card base. Added red bling rhinestones and attached heart with pop-ups. Red paper is a scrap from some handmade paper that I used for texture. Used the layout from Card Positioning Systems sketch shown below. 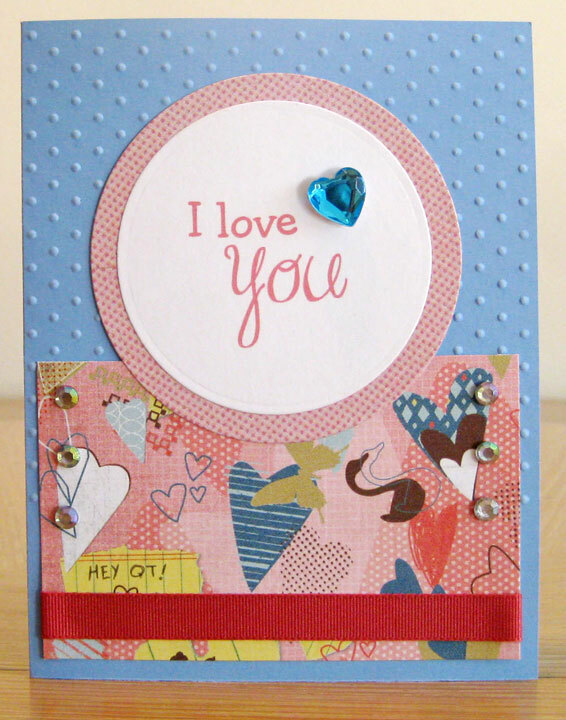 Secret Crafters: Theme is Valentine. Cards for Men: Theme is Love/Valentine. Craft Your Passion: Challenge is to bring on your bling on your love...use red,bling and/or hearts. City Crafters: All you need is love---use the word Love or hearts. 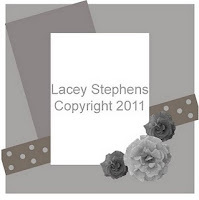 Papertake Weekly: Anything goes...option of flowers. My hearts have flower designs. Simon Says Challenge: Love is in the air. The Creative Cottage: Use words of Love. Digi Doodles Shop's Best: Challenge is Valentines. Do You Stack Up Challenge: Red Hot is the theme. PaperPlay Challenges: This week's challenge is "Stamp It Out" - we want you to use your stamps - rubba', digi etc. the choice is yours. Think this is the most challenges for one card that I have ever posted. Trying to get the most out of one card since I am not creating many cards. LOL. No cards to post as of yet. 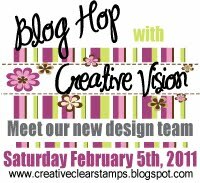 Creative Vision is having a blog hop today featuring thir new DesignTeam! Make sure to check it out. Laura has some great talent on her Team. My blogging buddy, Linda, sent me this award. Thanks ,Linda, for thinking of me. 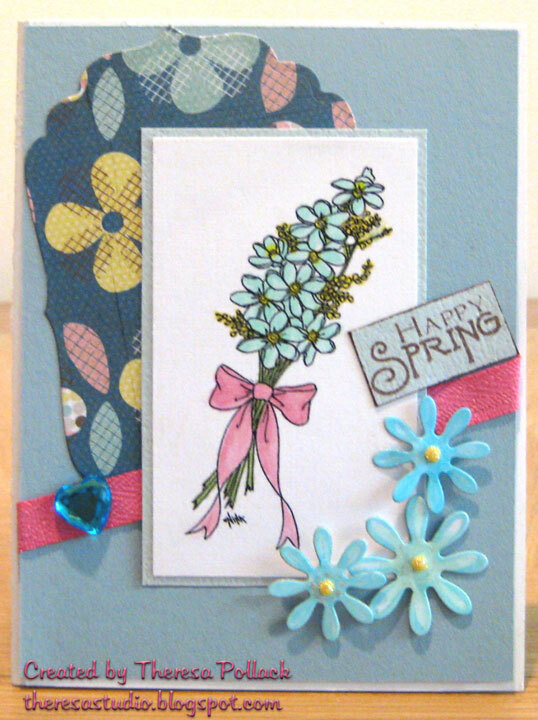 She is one of the most talented card makers and does such beautiful coloring. It is my aspiration to color like her someday! 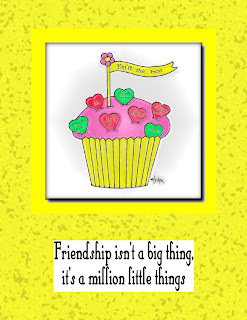 Please visit her great blog, ...Payne Holler Cards to see her her lovely cards. I am so honored to be one of her friends. I think I am suppose to pass on to other blogs. Will have to get back after thinking on that. Good morning from Captiva Island. I took time to make this quick card partly using the computer and printing on card stock. (I gave DH a mobile printer for the holidays so he can print here or was it for me??) I used a digi and sentiment from Paper Cupcakes and will enter it in There's Magic In The Air challenge which is to use in a Valentine card for a friend using the sentiment that Nina gave as a freebie. I hope to make a few cards today as rain is in the forecast and what's a girl to do if she cannot go to the beach on this tropical island. I think I heard some groans from you guys in the snow and ice. I do hope every one is safe and warm where ever you are my friends.